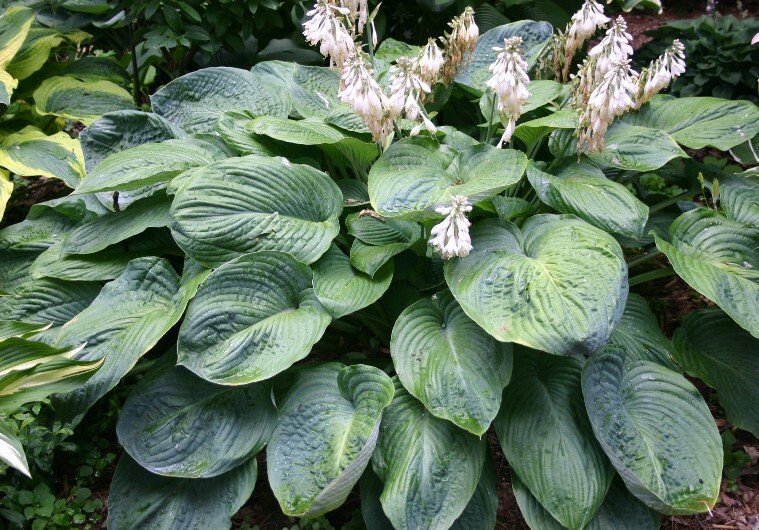 Olga Petryzn, the master breeder of large hostas has introduced this monster hosta. It has blue green foliage with heavy substance, moderate corrugation and a vase shaped habit. The leaves become far more puckered with age. Individual leaves average over 35 cm long by 25 cm wide. Amos produces near white flowers on very tall scapes in early summer.